Yeah, but: I did, eventually, manage to break it. The Long Version: The idea of the Gorillapod is very clever, but I have to admit up-front that I wasn't originally filled with confidence in the strength of its all-flexible legs. On the other hand, it does seem to inspire other manufacturers, since there are similar products being marketed by Sunpak and Optex. I decided to try out Joby's Gorillapod SLR model, and I have to say that I've been pleased with everything about it so far. Joby seems moderately conservative with its ratings, and so am I, which makes the SLR a good match for my SX20 and audio recorder. With a rated weight capacity of 800 grams, I wouldn't dream of hanging one of my bigger SLRs on it, but there are two stronger models available. Check out the Joby website to pick the right one, and try not to be too surprised by the price on the Focus. It is made of shiny metal, after all. 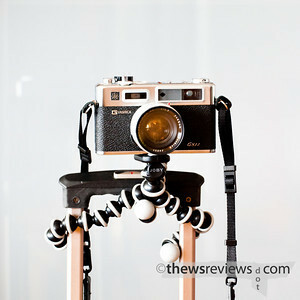 My use for the Gorillapod seems to be pretty typical, with the exception that I rarely use it with a camera. It's a quick and easy way to get my audio recorder into unnatural positions and places, and has helped me gather sounds ranging from lapping waves to a paper shredder. It's quick to adjust to a broad range of different positions, and within the limit of its small size, the camera/recorder can be positioned pretty much anywhere I want it to go. As Joby's website shows, I've had mine propped up on sloping rocks, and I've even had the gorillapod firmly supporting the Canon SX20 while wrapped around a table leg. It does what it says it can do, and it's a lot of fun to play with as well. 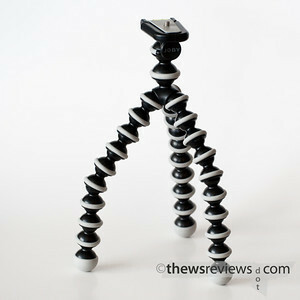 The SLR is the largest Gorillapod with a built-in quick-release plate, and it's a slim design that holds well. Everything is plastic, except for the screw, but it does its job. My venerable Yashica GSN rangefinder comes in right at the SLR's weight limit, and it had no problem with some unconventional holds. 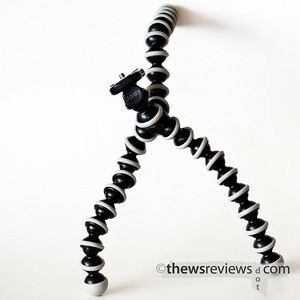 The Joby isn't going to replace my full-sized tripods, but if I ever need to, I can wrap the Gorillapod around them.